You guys, I have some amazing news. You can now book tickets for my brand new play reading ‘I GO HOME NOW‘ at Tristan Bates Theatre, London at 7pm on Monday 30th October with Kali Theatre. Rehearsals have been with superb actors including those who’ve appeared in films and a Pulitzer winning play. Please share this post widely and please come along. 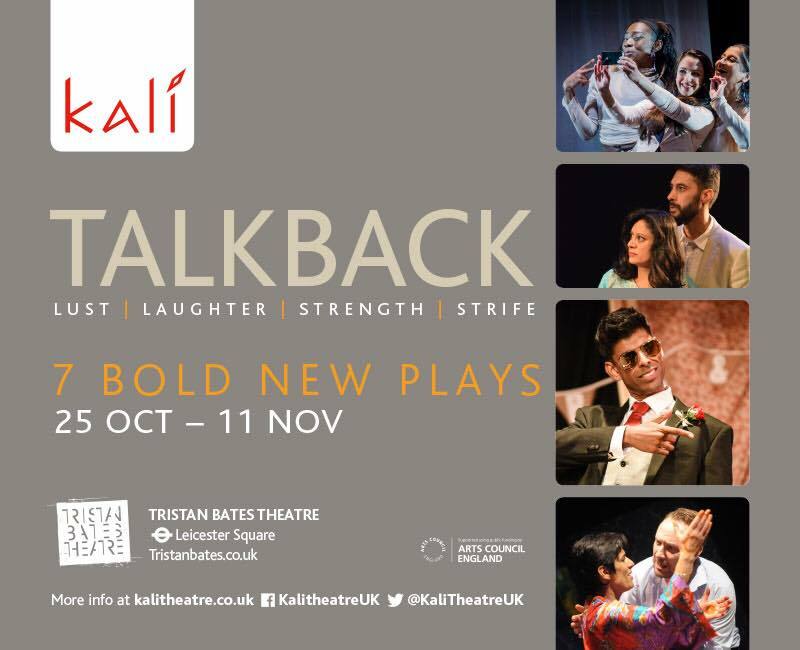 I have been developing the play for the last 12 months with Kali Theatre in London and it is being showcased after many workshops at Tristan Bates Theatre. One of my aims as a writer was to also create more contemporary British Asian female characters and I think you’ll love seeing them come to life. Teaser: After losing both her job and her mother, an ambitious 30-something struggles to keep her dating game and career on track while caring for her aging alcoholic dad. When a stoner childhood sweetheart turns up she discovers chaos comes in many forms. Care-giving, spirituality and Ibiza closing parties fuse in this witty and tender play that gets to the heart of Generation X woes.